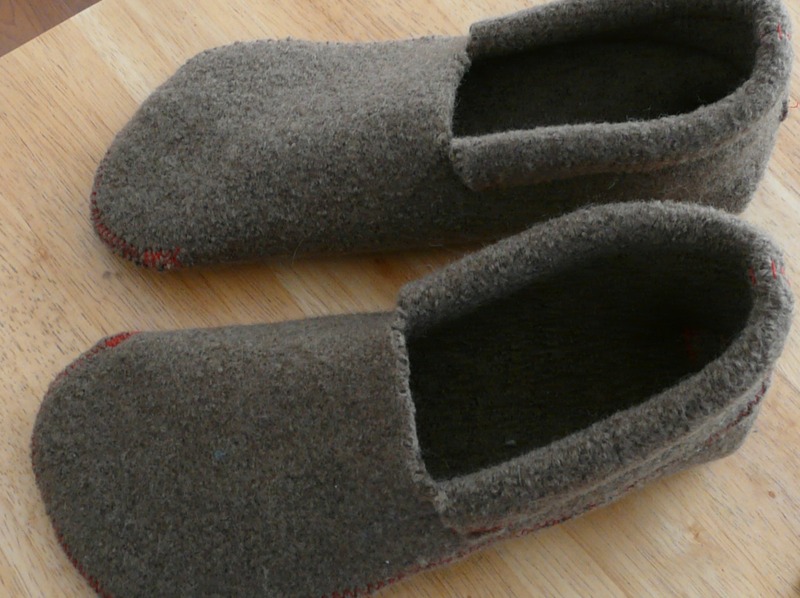 Today for a Tuesday Treat: Slippers! 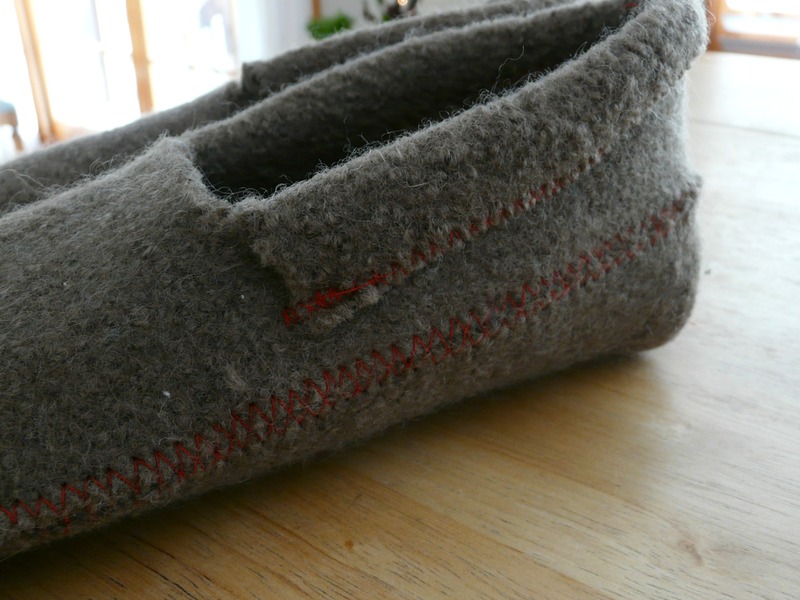 This past winter for the heck of it I tested a few slipper patterns for felted wool. (I hold my breath as I say “past” since the last drift of snow in our yard disappeared only YESTERDAY.) 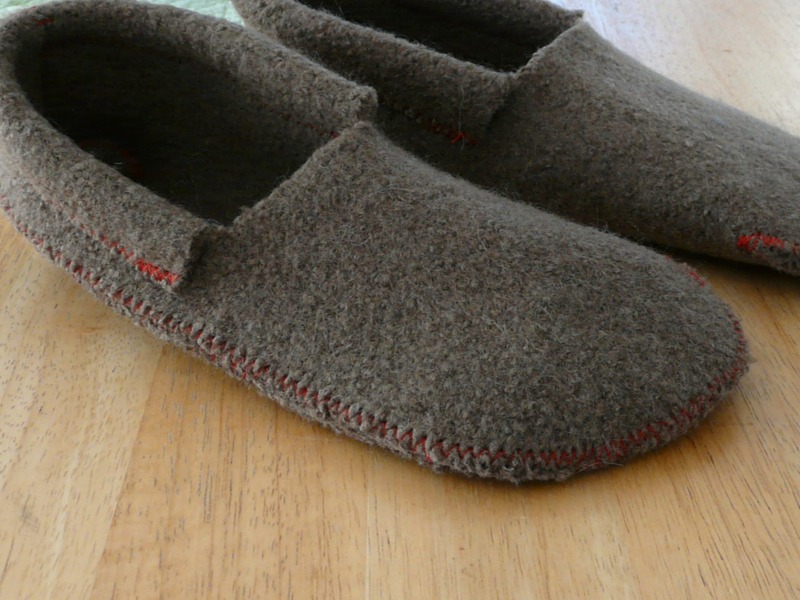 I tried out three: Stephanie’s Sewn Felt Slippers and another simply-named Felt Slippers at Martha Stewart.com, as well as Cosy Slippers by ThePrintPlace on Instructibles.com. So, anyway, that’s my little review. They were fun to try, and now I love having extra slippers at each door of the house. You never know just what they’ll say when you walk in at the end of a long day, but it’s always downright welcoming. Am I alone in thinking that?? I am in good company then!